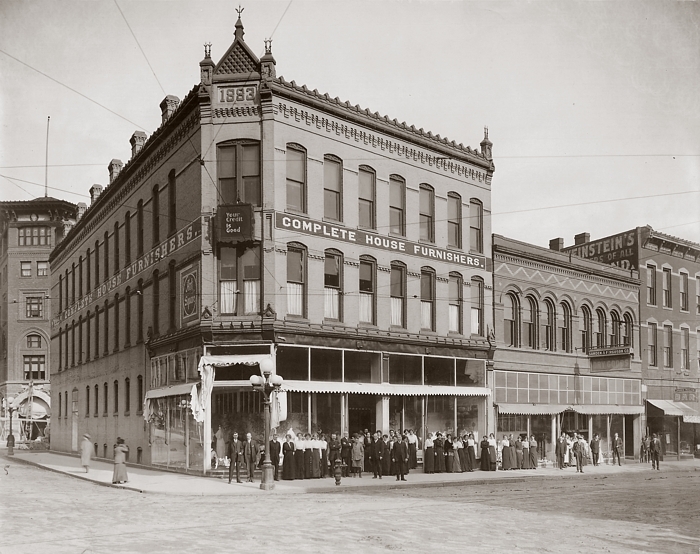 The Goodkind Building was built in 1884, and still stands on the southeast corner of Sixth and Main. 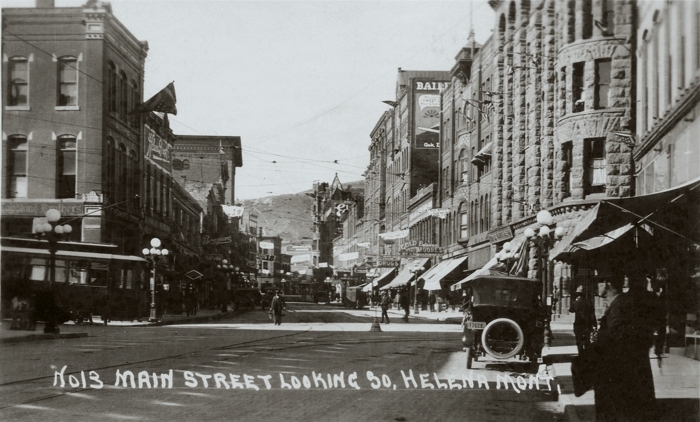 It is the oldest standing commercial building north of Broadway. 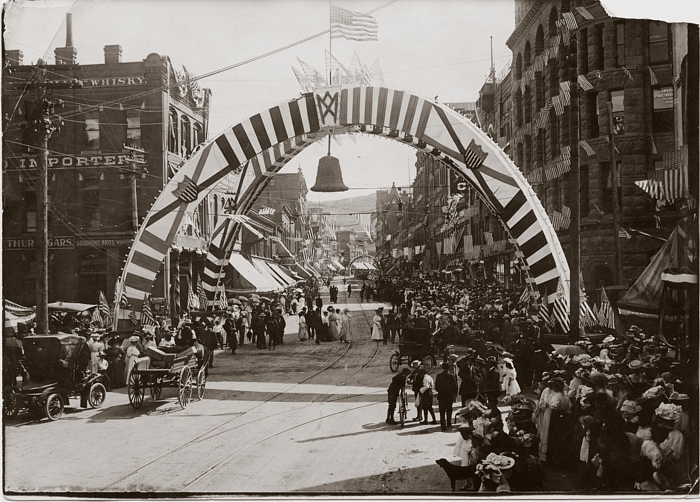 The wooden false-front structure on the right is the office of Ed Ragen's Livery. 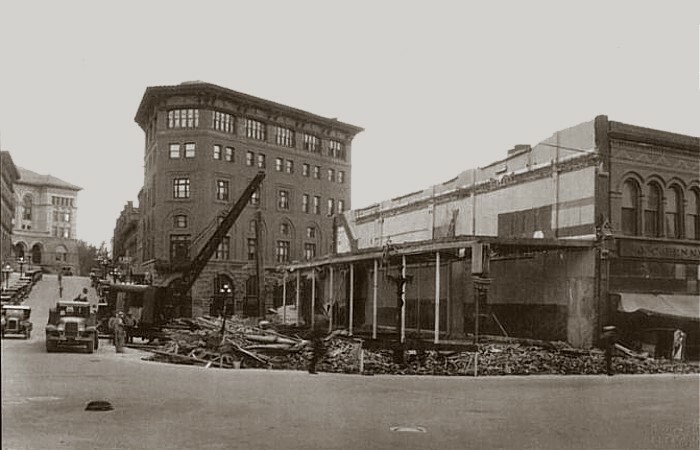 The Power Block was built on the site of the livery in 1889. 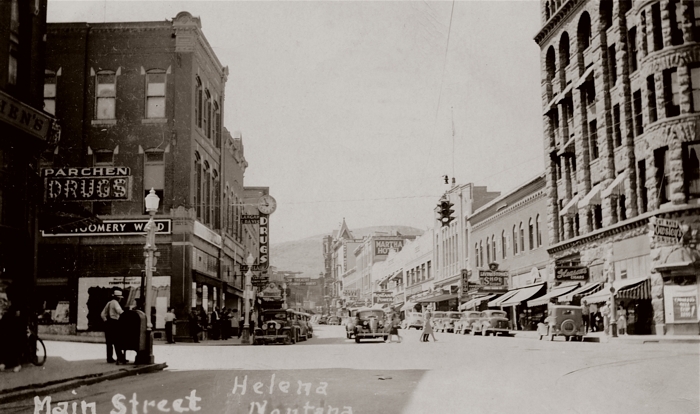 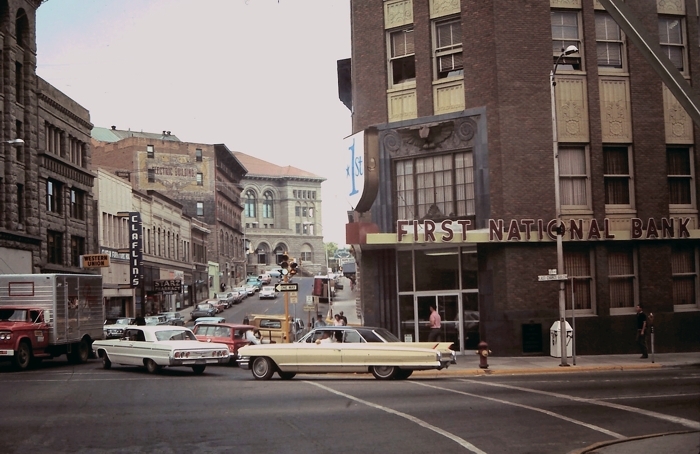 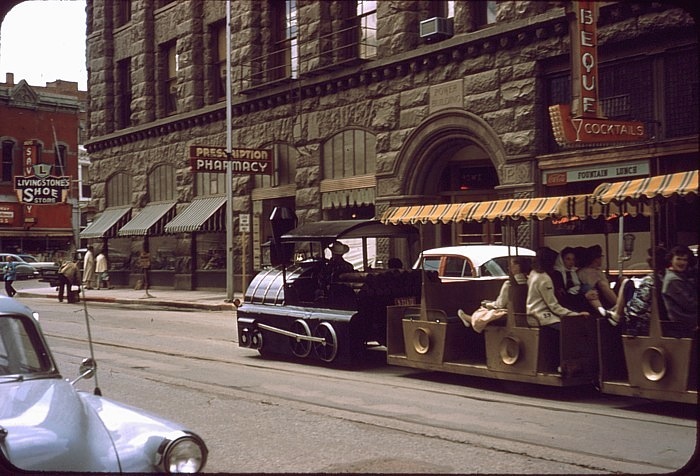 The intersection of Sixth and Main was the traditional "center" of downtown Helena for many decades. 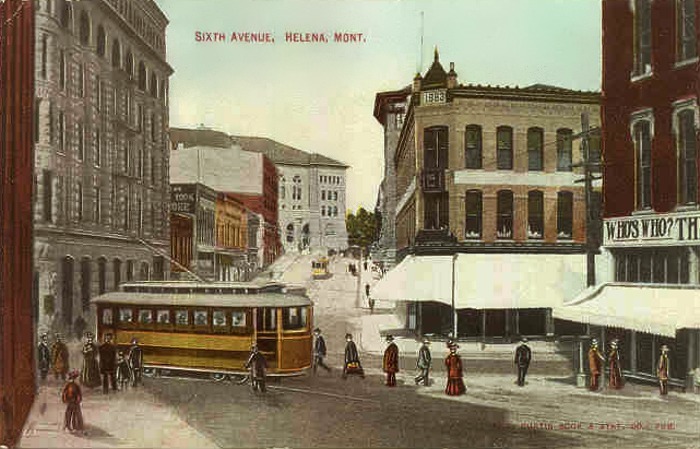 It should be noted that until about 1891, what is now West Sixth Avenue (from Main west to Park Avenue), was named Price Street. 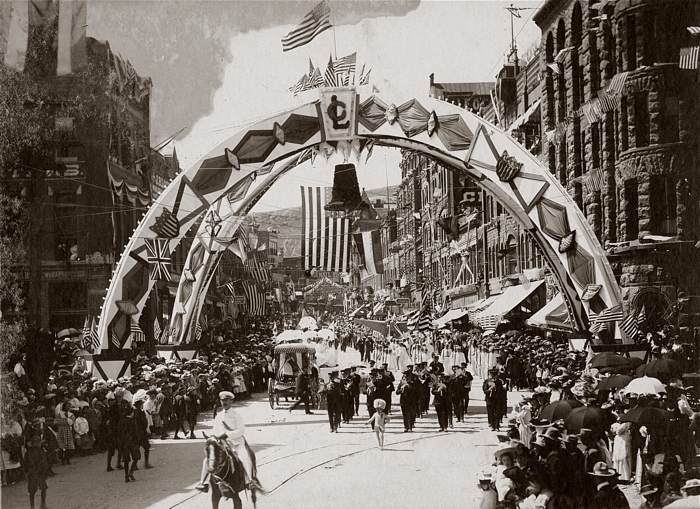 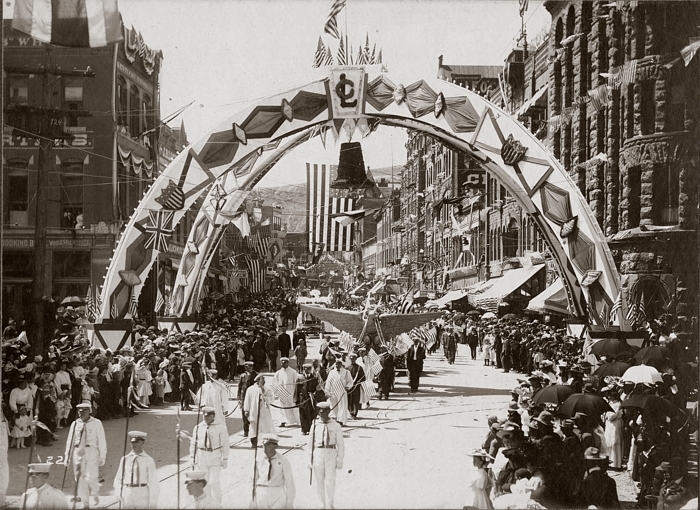 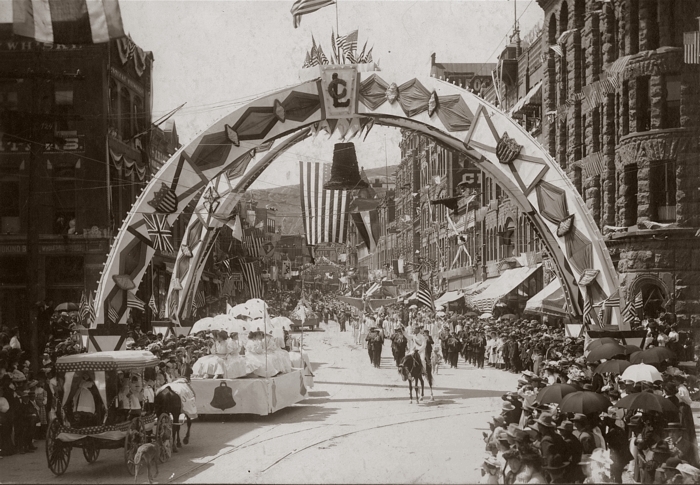 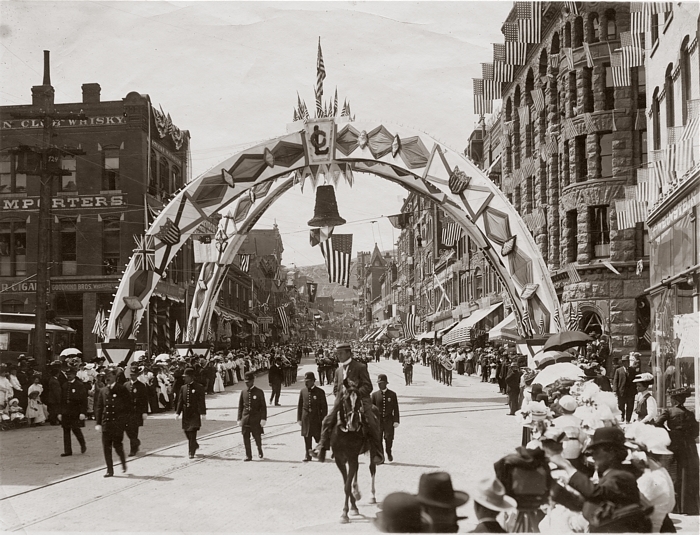 Around the turn of the 20th Century, a fantastic decorative archway was erected over the intersection for Fourth of July festivities. 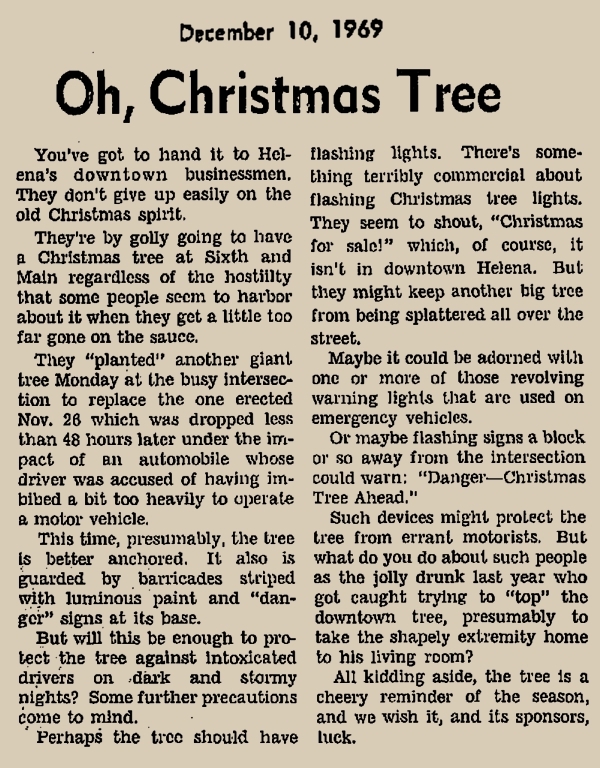 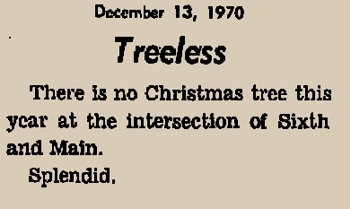 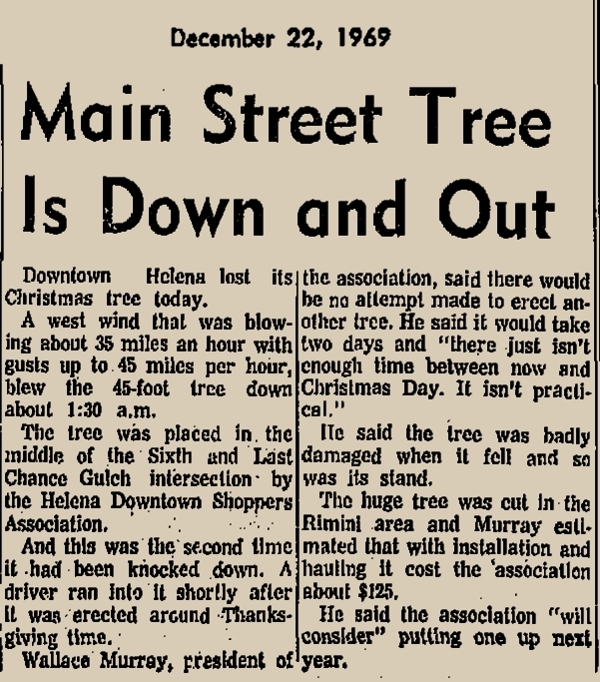 In 1969, a 40-foot high Christmas tree was placed in the middle of the busy intersection; the results of the tree placement were not so good. 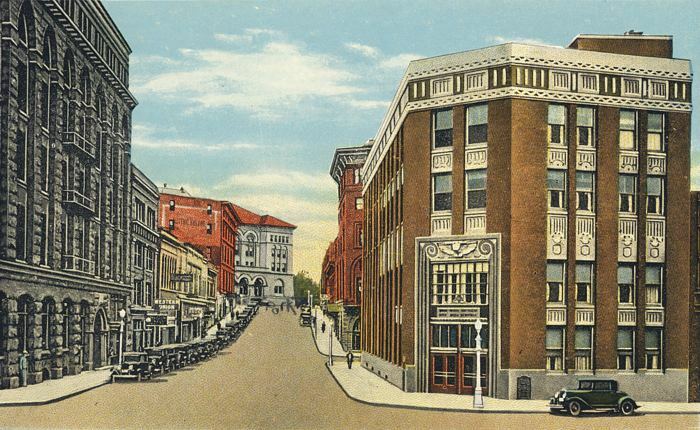 The Power Block is on the left, the Ashby Block on the right, and the Horsky Block on the far right. 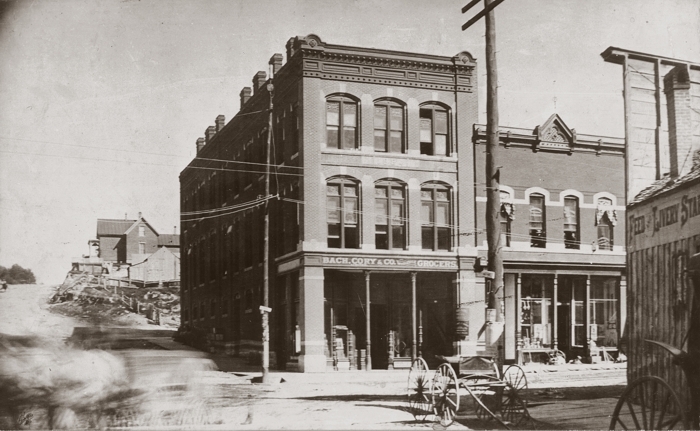 The building on the right, the 1883 Ashby Block, was built by Col. C. A. Broadwater and Shirley Ashby. 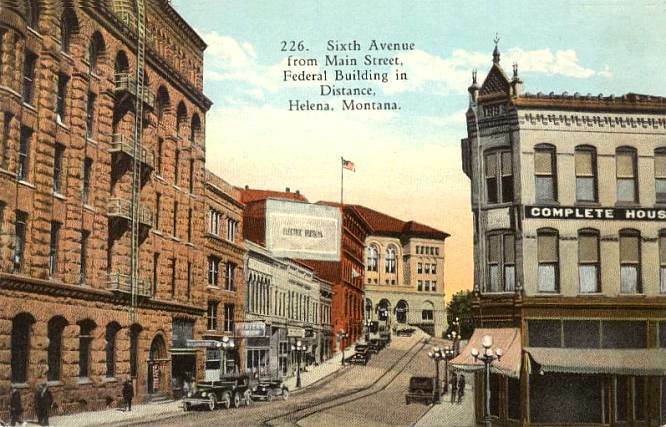 It was demolished in 1929 to make way for the First National Bank building. 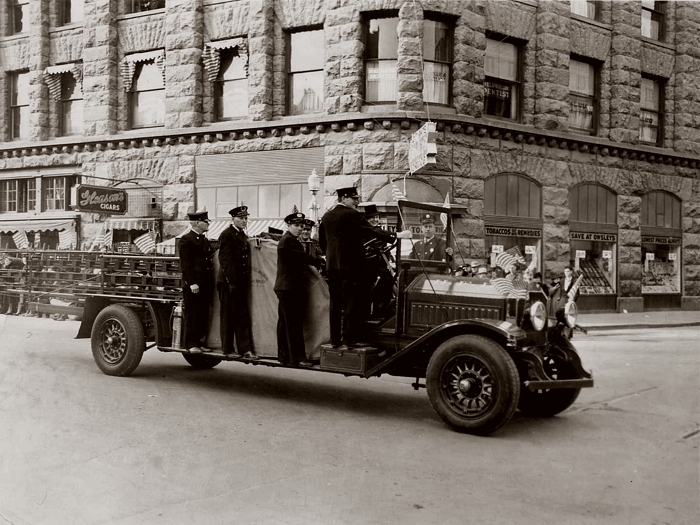 bus tokens, trade checks and electrical box knockouts" had been recovered from the meters. 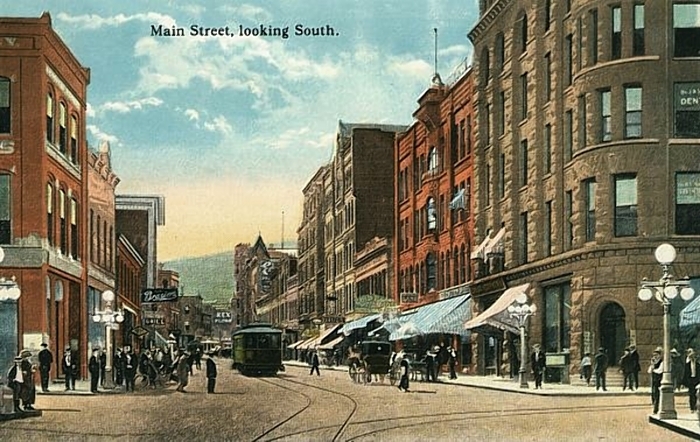 In the Big View of this photo, one can see, in the distance, the arrow sign overhanging Main Street, pointing west toward the Marlow Theatre on Edwards Street. 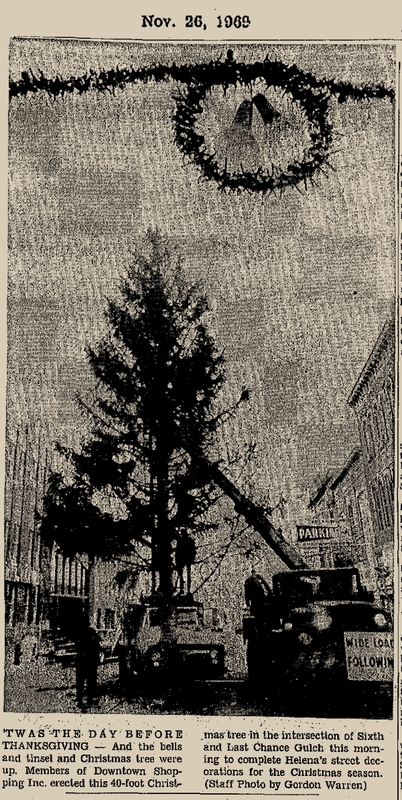 It reads "Susannah of the Mounties", a Shirley Temple movie that played at the Marlow July 19-21 1939. 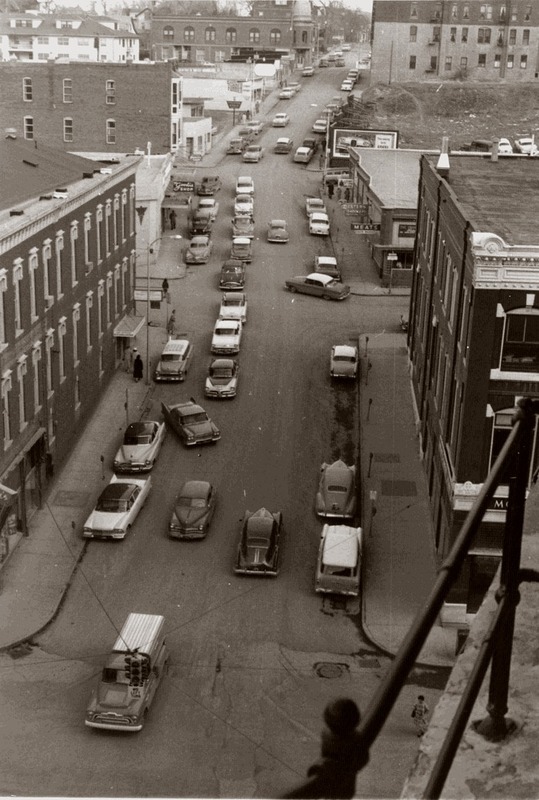 Note the streetcar tracks on Sixth Ave.
Sixth Avenue in full swing, taken from atop the Power Building, probably 1958 (note the billboard for the new Ford Edsel). 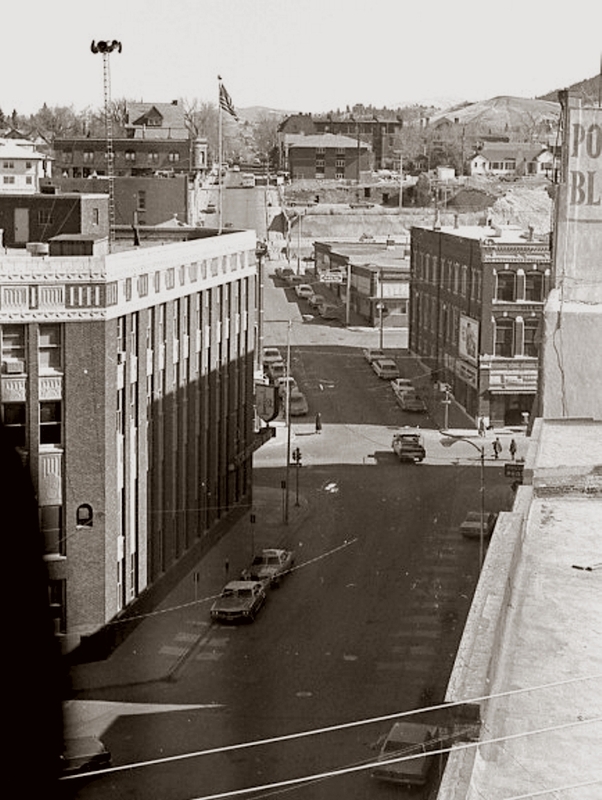 Pass your cursor over buildings in the photo for more information. 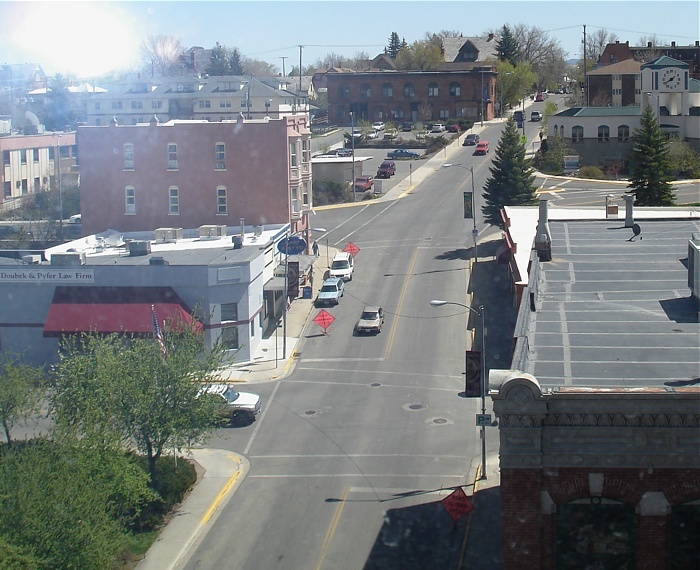 Thanks, Keith, for this great comparison view! 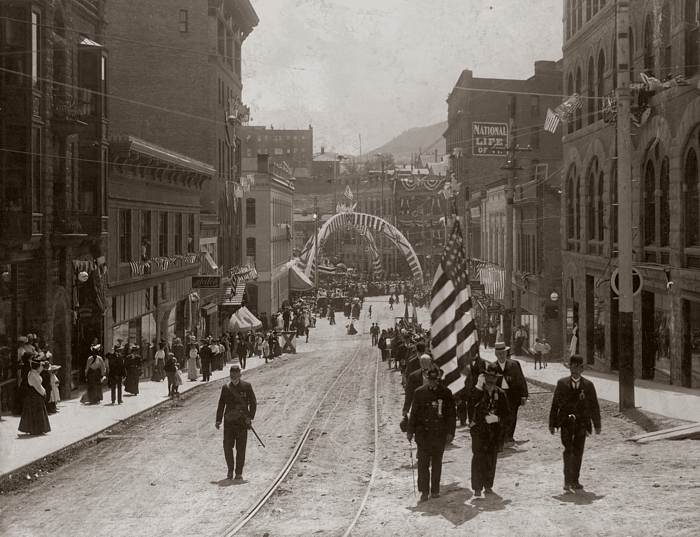 Go back to LAST CHANCE GULCH  MAIN ST.